This very handsome (and shiny!) 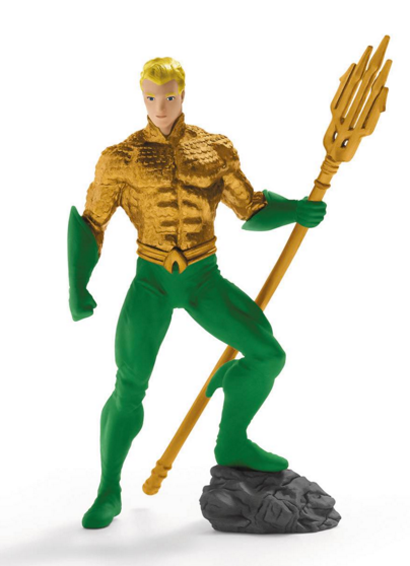 Aquaman PVC figure is currently being solicited in the latest Previews. How strong is Aquaman? That grey blob he's standing on used to be a Volvo. He's at Toys R Us in the Schleich aisle.